Alfred A. Knopf, New York, 2008. 432 pages. This book says it’s a “companion novel” to the wonderful Wildwood Dancing, which is to say that you can read Cybele’s Secret without having read the earlier book. But as I have said about some other companion novels, why would you want to? Cybele’s Secret follows Paula, the scholarly sister, as she accompanies her father as his assistant on a buying trip to Istanbul. The first half of this book is rather slow-paced. It is full of atmosphere, and Paula has reason to believe inhabitants of the Other Kingdom are near at hand. She learns that she has a quest, but she does not know what it is. I didn’t find myself truly believing Paula’s motivation to get into the situation that leads her to the fast-paced second half. But no matter, the book gets exciting after Paula blunders into danger. For then she learns her quest and can set about the challenges of carrying it out. This book has a richly detailed setting and a story that ends up being intriguing. Paula also meets two men who are fascinating in very different ways. They both end up being an important part of her quest. I think that fans of the first book will be motivated enough to happily get through the first half to enjoy the exciting finish. Beach Lane Books, New York, 2009. 32 pages. Are you a monkey with clever toes? Perhaps you’re a porcupine, twitching its nose. Are you an eagle, exploring the skies? But what makes this book stunning and unforgettable are the incredibly detailed cut-paper illustrations by Steve Jenkins. I’ve raved about his illustrations before, in my reviews of Actual Size and Dogs and Cats. They only seem to get better with each new book. When I saw Hello Baby! I had to pass it around to my co-workers to watch them marvel as well. He makes cut paper look alive. “Then who are you, baby? I like the way they made the hands reaching out to each other a range of colors, so you can see almost anyone’s hue there. That’s one place it doesn’t look as lifelike, because no real person’s hand has all those colors, but the use of mottled paper in that place works so that it could apply to anyone. Simon & Schuster, New York, 2009. 270 pages. Those who have been blessed by Melody Beattie’s earlier books, particularly Codependent No More and Beyond Codependency, will be excited to hear that she has written a new book about codependency, called The New Codependency. Her first book, Codependent No More, is the one that made the term “codependent” a standard part of recovery vocabulary, but she wrote that more than twenty years ago. “I’m writing this book to clarify confusion, discuss new information, write about how codependency has mutated, address new support options, and remind us about what we’ve learned. 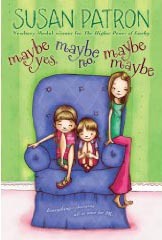 “Although I’ve changed significantly since writing Codependent No More, I still step in codependent puddles. I might get hooked into someone’s stuff, let their problems control me, over-engage, or start reacting instead of taking right action. I’ll let family conditioning affect me, neglect to set boundaries, or shut down emotionally. There are times I have to slam on the brakes, STOP, and remember to take care of myself. I don’t sink in the quicksand of life like I used to, but sometimes I revert to survival mode. That’s yesterday’s news. All in all, you can think of this as a book about healthy relationships, about setting boundaries, and about remembering to care for ourselves and let other people live their own lives. There are quizzes to help you examine your own issues and emotions, and there are many suggested activities to help you put these ideas into practice. Recorded Books, 2006. 9 CDs, 10.5 hours. I’ve already raved about the three books about Eugenides by Megan Whalen Turner. 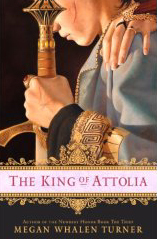 As with The Thief and The Queen of Attolia, The King of Attolia gets better with each rereading. In this case, I recently moved further from work, and have been listening to audiobooks on my commute. This is a wonderful way to force myself to savor The King of Attolia, as every other time I’ve read it, I wasn’t able to read it so slowly! I did find myself lingering in the car a few times, and was frustrated that my own copy of the book is in a box somewhere, so I couldn’t just read ahead. Jeff Woodman does an excellent job reading, and you can easily follow the different characters. I still don’t want to say much about the plot of any of these books. Megan Whalen Turner’s richly textured plots and subplots are what make these books better on every reading, as you notice details that escaped your attention the first time through. The gods come into the story a little less obtrusively in this segment, urging Eugenides to face his destiny. The reader gets the sense that he will have an important role to play in political destinies of the entire continent. I’ve started urging other adults to try this series. These books are among my all-time favorites, and go higher in my estimation with every rereading. Start with The Thief, and soon you’ll be eagerly waiting, like me, for a fourth book in the series. Don’t underestimate Eugenides! Houghton Mifflin Company, Boston, 2008. 32 pages. “Just the other day, Grandfather Panda was talking to his grandson. “‘I am going to tell you a story of a little panda and the tiger that flew,’ he said. “‘But that’s silly. Tiger’s can’t fly,’ interrupted the grandchild. 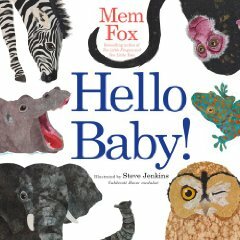 Here’s a sweet and gentle story about a little panda escaping imminent danger and learning to listen to his mother. The muted colors and round characters remind me of Jon Muth’s Zen Shorts. I definitely will be using this book in a storytime or two. It’s short for young listeners, but has cozy time with Mama combined with elements of danger and a fun twist. And you can find out how a tiger can fly! Bloomsbury, New York, 2009. 280 pages. I do love fairy tale retellings. 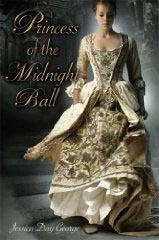 Princess of the Midnight Ball is a retelling of “Twelve Dancing Princesses,” beautifully carried out. This fairytale is one that features a hard-working common soldier, and I liked that aspect of the book. The book opens with Galen returning from the war. His father was a soldier before him, and his parents both died in the war. You can’t help but like Galen, and it’s nice to see someone deserving work hard to save the day and win a princess. The reason the princesses dance every night is more sinister than meets the eye in the fairy tale. Their mother made an ill-advised bargain with the King Under Stone. And now her twelve daughters are paying the price, unable to tell anyone about their suffering. And Galen is a knitter! He learned to knit his own socks and scarves during the war, and it comes in handy for binding evil. Two knitting patterns are included at the back of the book. I thoroughly enjoyed that bit of the story. Jessica Day George also does a good job giving the princesses distinct characters — not easy to do when you’re dealing with a family of twelve! She gives Galen some additional obstacles to overcome with the result a thoroughly satisfying tale. Fantagraphics Books, 2009. 320 pages. I probably don’t really need to review these books as they come out twice a year, but I just love them and have to mention them. Fantagraphics Books is collecting every single Peanuts strip, and it’s delightful to watch the genius of Charles Schulz unfold as he developed the characters. In these strips, Lucy actually kicks Linus out of the house, but gives up when she gets a new baby brother, whom they nickname “Rerun.” Lucy continues her unrequited love for Schroeder and holding the football for Charlie Brown. She actually hits a home run when Schroeder promises a kiss if she does, but nobly turns it down in the name of women’s lib. 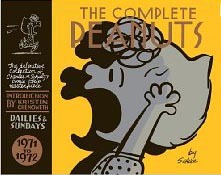 Featured on the cover, these strips have a lot about Sally and her hilarious, not-quite-right approach to schoolwork. Did you know that ten grams make a grampa? This Definitive Collection definitely makes delightful reading. Broadway Books, New York, 2009. 213 pages. Elizabeth Edwards has had to deal with the death of her beloved sixteen-year-old son, having cancer, and her husband’s betrayal. Reading this book doesn’t give answers for dealing with issues of that magnitude, but it does feel like talking with a sister who’s been there. Comforting and reassuring, her words help you carry on, whatever your own issues are. Not because she seems so together, but because she’s open and honest about ways that she is not together. This book is a gentle exploration of that process. I do love Martha Beck’s books. Something about them speaks directly to my soul. Steering by Starlight is no exception, even though it is not autobiographical like Expecting Adam and Leaving the Saints. Martha Beck is a Life Coach, and Steering by Starlight is full of techniques she has used to successfully help her clients find their right lives. Honestly, I wasn’t feeling a need for direction when I read the book. I picked it up because it was by Martha Beck. My husband leaving me threw me into a new life, and I have learned from that experience to listen to God’s guidance, and to pursue the passions God has given me. So instead of turning me in a whole new direction, this book resonated with the things God was already doing in my life. Her book covers a wide array of concepts. Here are just a couple that rang true for me. I found this book packed with good concepts like that. I highly recommend it. You are currently browsing the Sonderbooks blog archives for June, 2009.